The Southern Illinois University Edwardsville (SIUE) School of Pharmacy offers a professional program leading to the doctor of pharmacy (PharmD) degree. Established in 2003, the school graduated its first class in May 2009 and received full accreditation in June 2009. Class sizes range from 80-82 students with 90 percent of those students residing in Illinois. Located on 2,660 beautiful acres in southern Illinois, approximately 25 minutes from St. Louis, Southern Illinois University Edwardsville has one of the safest university campuses in the United States. US residents from all 50 states eligible for low in-state tuition. Our 2018 graduates have made us proud with their 97.3% NAPLEX pass rate! The SIUE School of Pharmacy continues to rank above state and national averages AND #1 out of all schools in Illinois and Missouri on the North American Pharmacist Licensure Exam (NAPLEX)! That puts us in the Top 20 of all schools of pharmacy across the US! A complete list of pass rates for all schools of pharmacy can be found here. View all our Academic Statistics. 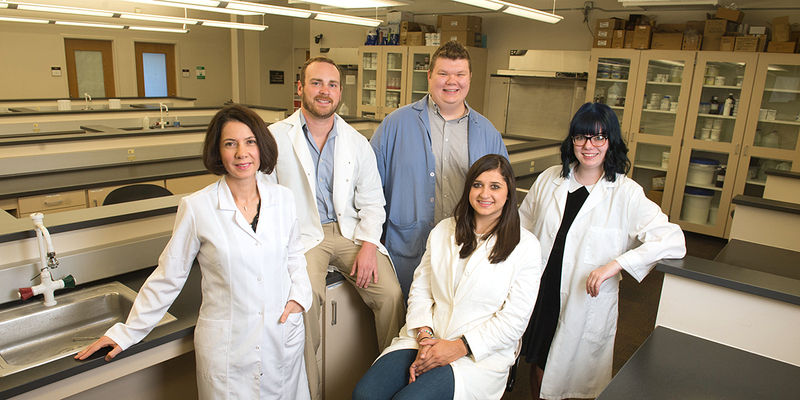 Find out what makes the SIUE School of Pharmacy a great place to earn your PharmD degree! Check out some Fast Facts. Keep up with current news and events from around the School of Pharmacy through this digital newsletter.